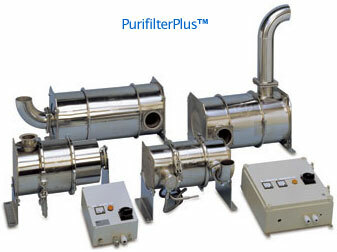 The Combifilter is an actively regenerated DPF system that typically removes 90+ % of PM* while reducing NO2 emissions. The system is comprised of an integrated DPF and silencer assembly, and an off-board regeneration control panel or station. Un-like passively regenerating DPF’s, Combifilter equipped engines do not have to meet minimum duty cycle requirements. Regardless of how you operate, a Combifilter allows certainty and peace of mind in your operation. Depending on the Combifilter™ you choose, simply plug your Combifilter™ equipped vehicle in when you’re on lunch or when the days work is done and your equipment will always be ready for a day’s uninterrupted work. Combifilter™ Type S regenerates or self cleans in 60 to 90 minutes. Combifilter™ Type K regenerates in eight hours or overnight. Unable to tolerate any equipment downtime? A Combifilter exchange system allows you to swap out a dirty filter for a clean filter in two minutes. Then the dirty DPF can be regenerated off-board at your convenience without tying up the equipment. In addition, the off-board regeneration equipment can be used to service the filters from several pieces of equipment. A Combifilter offers flexibility- With input on your operation, Engine Control Systems will determine which Combifilter™ system is best for your application. 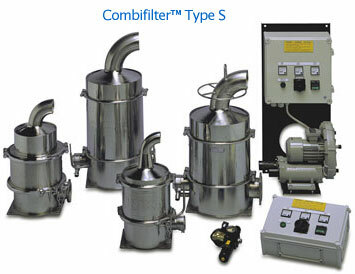 With various systems available for various applications, the Combifilter™ system can be tailored to meet you PM reduction needs.